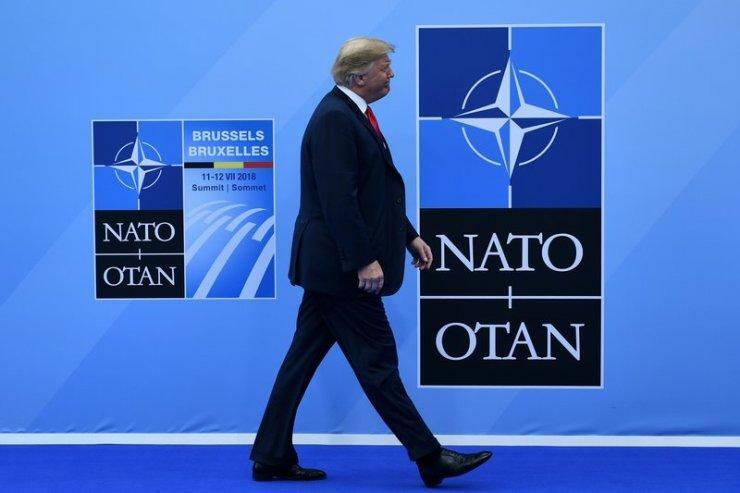 Trump Aides "Scrambled" After He Raised Leaving NATO Altogether "Several Times"
The Times report likens any potential US withdrawal "a move tantamount to destroying NATO" and perhaps to be expected, hypes NATO statements saying “Even discussing the idea of leaving NATO — let alone actually doing so — would be the gift of the century for Putin.” But the report expresses alarm that "Mr. Trump’s skepticism of NATO appears to be a core belief." Notably, the NYT report opens by suggesting that even mere discussion of a NATO pullout plays into Moscow's hands, and further in the report cites an anonymous US official to make the unmeasurable or unprovable assertion that it would "accomplish all that Mr. Putin has been trying to put into motion." When asked for official comment the White House did not confirm or deny the Times report, only reaffirming that the US commitment to NATO remains “very strong” and the alliance “very important”. The revelation, or we might say admin "leaks," that Trump is giving it serious consideration comes after weeks of 'deep state' push back in the wake of Trump's announced US "full" and "immediate" troop draw down in Syria. The NYT suggests that like with the issue of Syria pullout, the question of NATO has opened up a quiet war between the president and his own advisers and generals: "just when officials think the issue of NATO membership has been settled, Mr. Trump again brings up his desire to leave the alliance," according to the report. And what remains is the following key and obvious question: is the Commander-In-Chief, who was elected by the American people, allowed to set the agenda and course of discussion over and against his generals and national security advisers or not? After Syria, and possibly future or near term Afghan withdrawal, and now with the revelation that even the US role in NATO is under reevaluation in the president's mind, the deep state revolt against Trump is only set to explode further in the open. No doubt, in the bowels of both the Pentagon and State Department it's once again time for "damage control" - or so the thinking goes.